One of the benefits of my software engineering job is access to a large corpus of journals through ScienceDirect. About once a month I pick a topic and pull the latest research. This month I did a journal search for "paramedic" AND 2010 which returned many interesting articles. One that particularly piqued my interest was Berdowski J, et al: Delaying a shock after takeover from the automated external defibrillator by paramedics is associated with decreased survival . The authors found that when the paramedics switched from the AED to their monitor and a shock was delayed, for whatever reason, there was a decrease in patient survivability to discharge (ed: original copy did not appear to specify 'to discharge', current copy of article clearly states to discharge, updated). Currently I work for two services in two different counties, one is a BLS industrial fire brigade and the other is an ALS combined Fire/EMS department. Both services have AEDs for their BLS providers with pads that are interchangeable with the monitors predominantly carried by the ALS units in their respective counties (Philips in one, Physio in the other). The standardization on pads obviously makes BLS to ALS patient handoff simpler during cardiac arrest. However, I had not considered at what point in resuscitation would be the most appropriate to make the pad switch. The research showed that in nearly two thirds of the cases where a switch from the AED to the ALS monitor was made, the delivery of an appropriate shock was delayed. Barring equipment or operator malfunction, an AED and a paramedic are both going to defibrillate the same rhythms. Paramedics can still place the patient on their monitor with a 3-Lead even if they have not changed the pads over. The study authors concluded that the appropriate time to switch the pads would be after the AED delivers a shock or advises that no shock should be delivered. Minimize interruptions in compressions or appropriate defibrillation delivery by first responders when initiating ALS treatments in cardiac arrest. This minor change is low hanging fruit compared to the benefit to our patients! Berdowski J, et al: Delaying a shock after takeover from the automated external defibrillator by paramedics is associated with decreased survival. Resuscitation 2010; 81: 287-292. 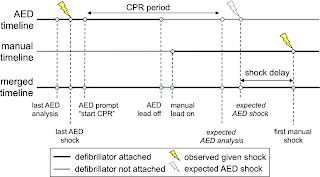 American Heart Association: 2005 American Heart Association Guidelines for Cardiopulmonary Resuscitation and Emergency Cardiovascular Care Part 5: Electrical Therapies - Automated External Defibrillators, Defibrillation, Cardioversion, and Pacing. Circulation 2005; 112: IV-35 – IV-46. I have stumbled upon these videos. They are hilarious. Please Excuse the language. Enjoy. Over at 9-ECHO-1 is a post from which I stole the title of this post. We Never Looked. I do not think that it is important for the vital signs to be a part of the radio report, unless they are unusual in some way, or relevant to the presentation. I am not encouraging the use of Within Normal Limits to describe assessment findings. A much more appropriate term would be Unremarkable. Something that can be expressed by just not remarking on them. How can we legitimately suggest that we have an understanding of what the limits of normal are for a particular patient? What is a normal heart rate, or blood pressure, for one patient may be an unstable heart rate, or blood pressure, for another patient, even though it falls into the WNL range of numbers. Vital signs are just a part of a thorough patient assessment. Not even the most important part. If I assess the pulse of a patient as zero/unobtainable, do I progress to the blood pressure? Or is it more important to assess responsiveness? The only reason to assess the blood pressure is if there is some sign of life. Some sign of responsiveness is one of the primary indications that an unobtainable pulse is not an accurate sign of vitality (life). If vital signs are not even reliable in determining if the patient is alive, how important are they? I have had about a half dozen patients with no palpable pulse, even though these patients were awake and alert. The reason we focus on vital signs appears to be that there are boxes to be filled out on the chart. If the boxes are not filled out, then the QA/QI/CYA people becomes apoplectic. Not because documented vital signs are important, but because QA/QI/CYA people seem to be afflicted with the curse of Kelvin. Just because the information can be presented in numbers, as vital signs are, does not mean that the information is important, relevant, or even truly objective. Among other things, the documented pulse depends on the fingers palpating it. Among other things, the documented blood pressure depends on the ears auscultating it. Among other things, the documented respiratory rate depends on the eyes watching it. Is machine measurement of these vital signs any more accurate by decreasing human involvement? Assigning something a number does not make that thing objective. We assess pain by asking the patient to assign a number to his/her level of pain, but that does not make it objective. There is no way to make the pain score objective, yet it is often referred to as The Fifth Vital Sign. The other vital signs depend on the person assessing them. The vital signs are no more objective than any other assessment. Vital signs are secondary to the rest of a thorough physical exam. Vital signs are only a part of a thorough physical exam. We assign too much importance to the vital signs. If we minimize the importance of the rest of the physical assessment, is it any wonder that medical directors demand that we assess the damage to a vehicle, rather than that we assess the actual patient? Rather than We Never Looked, I think that WNL indicates that We Never Learned. You just received a dispatch to a working class neighborhood townhouse for a two year old vomiting. Great. Another BS call. "Why does a parent call EMS because her kid is simply vomiting? ", you ask your partner as you pull up the residence. The residence appears neat on the outside but the inside is cluttered but clean. The mother, obviously pregnant in her third trimester, holding the girl, tells you her daughter has been vomiting for the past hour or so and also had diarrhea. She apologized for calling you but she was concerned that the child had emesis x5 in the short time she was sick, and she was not sure but felt she saw blood in her liquid stool. Not only that, she says she is not acting right. She would have taken her to the hospital herself but she is snowed in from the heavy snow fall. As you approach the child, she makes eye contact with you but seems a little listless and pale. She appears to be of normal weight and build for a 2 year old. She lets you take vitals with mother present. R24, normal and non labored; PaO2 98%; P110, S/R; BP 80/p (you still haven't whipped out the bad habit of your partner of getting a palp pressure as an initial on scene pressure); T 37C. Skin is a warm and dry with poor turger and cap refill of 3 seconds. Mother states the patient has no PMX, was born full term with no complications or congenital defects, and immunizations are up to date. Mom stated the child ate breakfast of cereal and had a P&J sandwich for lunch with chocolate milk. In fact, she says embarrassingly, that she found her already awake in the kitchen helping herself to a box of Count Chocula when she awoke in the morning, with pantry cabinets open. When asked about potential ingestion of cleaning materials, she stated no, as they are under the sink secured by a latch that the child has not yet been able to open. What other scene survey and/or patient assessment findings would you like to know? So, what is the differential diagnoses? What prehospital treatment does this kid need? What is the appropriate destination for this kid? If you have a suspicion, who will you call for consult? What treatment will this kid get in the ER? As a new member of Paramedicine 101, I'll be quick with the introductions: I'm an EMT-Paramedic in North Carolina and have been in EMS just long enough to have never recertified. I'll save you the trouble of looking up NC's recertification schedule to let you know I'm green! Recently I was on a call in which a patient choked on a piece of cabbage. The patient was able to clear the foreign body airway obstruction on their own, but continued to have the sensation of choking. Our site MD recommended the administration of 1 mg Glucagon slow IVP in order to alleviate the discomfort. The only alternative usage I had been aware of was for β-blocker overdose. After this call I found I could not escape these alternative usages of Glucagon! Sitting at the station one night I read a passage in Galvagno's Emergency Pathophysiology where he noted Glucagon could be administered in refractory anaphylaxis, and at that point my mind had been blown enough that I decided it merited an entire article. The structure of this article and the dosages are based on an excellent article by Charles Pollack: Utility of Glucagon in the Emergency Department with a host of support from interesting journal articles. Many of the uses Pollack gives are omitted as they have dubious applications in the field. So sit back and enjoy some well known and not so well known indications for the administration of Glucagon! In the pre-hospital setting, Glucagon primarily plays a role in the management of hypoglycemic patients. Emergency Medical Technicians carry Glucagon as an alternative or adjunctive therapy to dextrose administration in these patients. However, this is not the only usage of Glucagon in the field. Many ALS protocols include Glucagon for the treatment of symptomatic bradycardia in patients who have overdosed on β-blockers or are refractory to standard ACLS treatments. As we will find, there are a number of alternative usages of Glucagon which could be considered in the field under online medical direction. Glucagon is a hormone produced by alpha cells in the islets of Langerhans of the pancreas. The primary effect of Glucagon is to promote the release of stored glucose in the liver and stimulate the release of insulin from the pancreas to promote uptake of glucose into the cells. Additional effects of Glucagon include a cascade of activations resulting in an increase of cyclic-AMP (cAMP). cAMP is an important intracellular messenger, responsible for carrying the signals of epinephrine and glucagon across the cell membrane. cAMP also regulates the flux of Ca2+ through ion channels independent of β-adrenergic receptors. This quality of Glucagon is what is thought to explain the various changes to the cardiovascular system seen after its administration. In the field, Glucagon is commonly packaged as a powder which is reconstituted with either sterile water or D5W (5% dextrose in water) to give a final concentration of 1 mg in 1 cc. Glucagon can be administered intravenously (IV), intraosseously (IO), intramuscularly (IM), subcutaneously (SQ), or intranasally (IN). Glucagon is assigned to the pregnancy category B, therefore usage during pregnancy should be considered when the benefits outweigh the potential risks. The most common side effects are nausea and vomiting, thought to be associated with the rate of IV administration. When giving high doses of Glucagon, the usage of antiemetics such as ondansetron or promethazine should be considered. Additionally some diluents packaged with Glucagon contain phenol, which in high doses can be toxic. Therefore, reconstitution should be done in sterile water, D5W, or normal saline. Pre-hospital providers may be surprised to learn that the administration of 2 mg Glucagon intranasally (IN) was shown to be as safe and efficacious as an IM administration of 1 mg. Recently the administration of drugs through the IN route has gained in popularity, the most visible of those being naloxone (Narcan) for opiate overdoses and midazolam (Versed) for seizures. In 2009, naloxone administration via the IN route was added to the scope of practice for all levels of EMTs in North Carolina, where this author currently practices. Given the few side effects and complications associated with the administration of Glucagon, it would be a powerful addition to BLS providers for hypoglycemic patients in which oral glucose is not indicated. 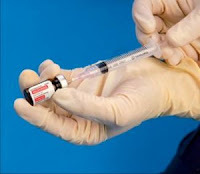 Yet the widespread adoption of intranasal Glucagon has not been seen in EMS, even though studies on intranasal Glucagon were conducted as far back as the 1980s. One potential explanation could be the relatively high cost of Glucagon. A casual and unscientific search of Internet distributors shows the average price of 1 mg Glucagon ranges from $70-150 USD. In comparison, naloxone ranges from $18-25 USD for the common pre-hospital packaging. Given the economic troubles in 2009 and 2010, it seems unlikely that the intranasal route will gain traction amongst already cash strapped BLS providers. Beyond hyperglycemic effects, Glucagon exerts both positive chronotropic and inotropic effects on the heart through non-adrenergic receptors. Because the cardiovascular actions are orthogonal to β-adrenergic receptors, it should be considered in any symptomatic bradycardia refractory to sympathomimetics or as an adjunct to sympathomimetic therapy. High-dose IV Glucagon has been shown to be effective when there is a known β-blocker or Ca-channel blocker overdose. The first consideration for providers when using Glucagon for a patient with suspected β-blocker or Ca-channel blocker overdose is the extreme dosage to be administered. A loading dose of 2-10 mg is cited by the literature, followed by 1-5 mg/hr maintenance infusions titrated to effect if hypotension and bradycardia persist. The service at which the author works only carries two 1 mg Glucagon kits per ambulance, which is relatively common amongst ALS providers. Therefore, a second unit or ALS QRV should be requested for an intercept to supply additional Glucagon kits. This logistical concern obviates any on-scene treatment with Glucagon for symptomatic bradycardia, and should not delay safe and expeditious transport. Steakhouse syndrome, otherwise known as an esophageal food bolus obstruction, is a medical emergency occurring when a foreign body becomes stuck in the esophagus either due to spasms, strictures, or rings. Standard treatment includes endoscopy, digestive enzymes (such as papain), or Glucagon. An interesting property of Glucagon is that it can overcome smooth muscle spasms of the lower esophagus and lower esophageal sphincter pressures. 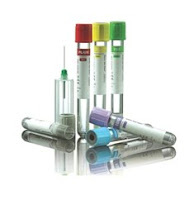 Glucagon has been used in various radiological studies since the 1970s and its hypotonic effects on the esophagus are well documented. Usage in the ED began formalization in the 1990s with studies on determining an effective treatment protocol. The most common protocol begins with fluoroscopy studies to determine the extent of the obstruction. Next, the patient is laid supine and 1 mg of Glucagon is given over 1 minute via IV push (to lessen the chance of nausea and vomiting). Finally, the patient is sat upright and encouraged to drink 200 cc of water and an effervescent solution. The combination of Glucagon’s spasmolytic effects, the hydrostatic pressure of the column of water, and the esophageal dilation secondary to the effervescence is very successful at passing obstructions. In the field, patients will present with an inability to swallow, excessive salivation, drooling, and will probably be distressed. If prompt medical attention is not sought, aspiration, esophageal rupture or perforation may occur. A trial of 1 mg Glucagon slow IVP under medical direction may be an effective means of terminating any spasms and passing the obstruction. Glucagon could also be considered in the case of a recent clearing of a foreign body airway or esophageal obstruction with excessive coughing or spasms. Unfortunately the use of Glucagon in the field to treat true esophageal food bolus obstructions is limited by an inability to conduct radiological studies, so unless transport times are long or the EMS system rural, safe and expeditious transport should not be delayed. Prompt recognition and management of anaphylactic shock is constantly stressed in EMS education as it is both rapidly fatal and reversible. Treatment protocols include epinephrine, antihistamines, corticosteroids, inhaled β2-agonists, and aggressive fluid resuscitation. However, in certain patient populations the use of epinephrine may not be desired or outright contraindicated. Additionally, some patients may just not respond to β-adrenergic stimulation. Due to its orthogonal cardiovascular mechanism of action, Glucagon is an appropriate choice as supplemental treatment in these patients. In the field, dosages for Glucagon in refractory anaphylaxis should begin at 1 mg IV every 5 minutes as needed. If the patient has a known β-blockade or is refractory to epinephrine, doses as high as 3-5 mg may be required. If hypotension continues in spite of aggressive fluid resuscitation, a maintenance infusion of 1-5 mg/hr should be started, titrated to effect. As discussed in β-blocker overdoses, most ALS units do not carry enough Glucagon for prolonged treatment and additional units should be requested for an intercept. As before, safe and expeditious transport to an ED should not be delayed for treatment with Glucagon. Treatment of asthma in the field is relatively straightforward, involving nebulized β2-agonists and parasympatholytics, IM sympathomimetics, and IV corticosteroids. However, if a patient has a β-blockade or is in status asthmaticus, the condition may be so severe that standard treatments are not effective on their own. Studies were conducted in the late 1980s and early 1990s on the use of IV and nebulized Glucagon for the adjunctive treatment of bronchospasm. They showed that the smooth muscle relaxation of Glucagon, which is independent of β-adrenergic pathways, provides some clinical benefit when compared against using β2-agonists alone. Current clinical guidelines for the management of asthma note that "last ditch" treatments such as magnesium sulfate or Glucagon have little support in the literature and may even be harmful. However, Glucagon has been shown to be safe even if the additive benefit is negligible. In the field, patients presenting with severe asthma or status asthmaticus should be treated aggressively using current protocols. Albuterol, ipratropium, epinephrine, and corticosteroids should all be administered prior to the consideration of "last ditch" treatments such as Glucagon. Dosages for Glucagon in severe asthma vary based on the route of administration; 1-2 mg slow IV push or 2 mg nebulized have been shown to be effective in small studies in addition to aggressive β2-agonist treatment. Do not delay safe and expeditious transport or definitive airway management in a decompensating asthmatic. In a patient with acute Congestive Heart Failure, if they are refractory to inotropes Glucagon can be considered as a potential treatment. Studies conducted in the 1960s and 1970s showed promise for Glucagon as a supportive agent in CHF, but only for NYHA Class I and Class II heart failure. Recent studies, however, do not show strong for a support for Glucagon in CHF, reserving its usage for refractory shock states. Dosages in the field of Glucagon for refractory CHF should be 0.01-0.05 mg/kg IV bolus with a maintenance infusion of 1-3mg/hr. The paucity of literature in support of Glucagon for CHF relegates this treatment to a last ditch effort with close medical direction. Glucagon is one of the most common items in an ALS drug box and as the literature shows surprisingly versatile. Beyond its hyperglycemic effects, Glucagon is a positive inotropic and chronotropic agent. This oft overlooked mechanism of action arms pre-hospital providers with new treatments without adding additional medications. While medical control will be required for nearly all of the alternate indications, both rural and urban providers can make more informed treatment choices for their patients especially when the standard treatments fail. Steakhouse syndrome: 1 mg SQ, IM, IV, may repeat. Pollock CV: Utility of Glucagon in the Emergency Department. J Emerg Med 1993; 11: 195-205. Rosenfalck AM, et al: Nasal glucagon in the treatment of hypoglycaemia in type 1 (insulin-dependent) diabetic patients. Diabetes Research and Clinical Practice 1992; 17: 43-50. Love JN, Howell JM: Glucagon Therapy in the Treatment of Symptomatic Bradycardia. Ann Emerg Med January 1997; 29:181-183. American Heart Association. Part 7.3: Management of Symptomatic Bradycardia and Tachycardia. Circulation 2005; 112; IV-67-IV-77. Stadler J, et al: The "steakhouse syndrome". Primary and definitive diagnosis and therapy. Surg Endosc 1989; 3(4):195-8. Glauser J, et al: Intravenous Glucagon in the Management of Esophageal Food Obstruction. JACEP June 1979; 8: 228-231. Handal KA, Riordan WM, Siese J: The lower esophagus and glucagon. Ann Emerg Med November 1980; 9: 577-579. Galvagno, Samuel M. (2003). Emergency Pathophysiology: Clinical Applications for Prehospital Care (pp. 195-200). Jackson, Wyoming: Teton NewMedia. Lieberman MD, et al: The diagnosis and management of anaphylaxis: An updated practice parameter. J Allergy Clin Immunol 115 (2005); 3: S483-S523. Gavalas M, Sadana A, Metcalf S: Guidelines for the management of anaphylaxis in the emergency department. J Accid Emerg Med 1998; 15: 96-98. Compton J: Use of glucagon in intractable allergic reactions and as an alternative to epinephrine: An interesting case review. J Emerg Nurs 1997; 23: 45-7. Wilson JE, Nelson RN: Glucagon as a Therapeutic Agent in the Treatment of Asthma. J Emerg Med 1990; 8: 127-130. Melanson SW, Bofante G, Heller MB: Nebulized Glucagon in the Treatment of Bronchospasm in Asthmatic Patients. Am J Emerg Med 1998; 16: 272-275. Marik PE, Varon J, Fromm R: The Management of Acute Severe Asthma. J Emerg Med 2002; 23: 257-268. Here is a case where you need to think and act outside the traditional area of your education. A 68 year old female patient with osteoarthritis was discharged from the hospital following surgery for a proximal fractured femur, at the greater trochanter. 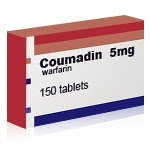 The patient's physician ordered 5 mg of coumadin P.O. daily four days ago. The patient was not sure if she took her medication one day, so she took twice the amount the next day. And then took twice the amount the day after that. Her daughter, a nursing administrator by trade, arrived to check on her mother, and after questioning her mother's ability to self medicate appropriately, counted the tablets and found three missing, and assumed her mother took them. Instead of calling her mother's physician, she calls an ambulance. You respond and find the patient laying in bed, alert and oriented with vitals all withing normal limits. 1. Why was this patient prescribed coumadin and what is the normal dosage range? What are the pharmacodynamics of this medication? 2. What are the possible consequences of the patient taking too much Coumadin? 3. What should you assess for or warn the patient about since she has taken a large dose of the medication? 4. What do you need to teach the patient regarding her medication, especially in regards to missing a dose or managing her medications at home? 5. What labs should the patient's physician be monitoring? What will be the therapeutic range? 6. Does this patient need to go to the hospital? If not, what assessment findings would warrant an ED visit? If so, what laboratory values will the hospital check? Is there anyone you should call for advice or is this an automatic transfer to an ED? If the patient needs seen or stat lab work, is the ED the only option for this patient? You are a paramedic working for a large EMS service that runs EMT-B/EMT-P units. Your long time friend, Paul, works for the same agency, but on a different truck, because he also is a medic. You both went to medic school together about 7 years ago. The both of you have often complained about how you guys are being run into the ground doing B.S. calls, being forced to do quick turn-arounds, feeling that you don't have enough time to be the good quality medics you want to be. The job just seems mundane at times with the EMS abusers, and overly stressed at others, to say the least. However, you hear Paul is really getting burned out. He seems withdrawn lately, and irritable. His partners state he becomes distracted on calls. Once recently, his partner identified him making a medication error before it was administered. No big deal. The best doctors and nurses have made at least one medication error or come close to it. But it is his persona lately that seems to bring it to light. When you see him at work or off duty, you gently explore his psyche and express concern, but he just blows you off. Once, between shifts, in the locker room, you notice an unopened vial of morphine in his book bag. You don't say anything initially but when you realize that no narcs are missing from the trucks, your curiosity gets the best of you and you confront him. He states his wife is having severe back pain and taking the morphine home to her. He refuses to give you a straight answer as to where he obtained it from. 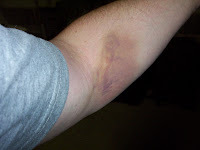 However, a couple of days later, you notice a few ecchymotic areas on his left forearm, and when questioned, he tells you he simply banged his arm, though they look like previously butchered IV sticks. About a week later, he admits to using some of the morphine himself due to the stresses of the job and to help him rest off of work. You empathize with him as recently he was first on scene to a family murder-suicide, then was handed a badly burned body of child from a burning housing project. The child died within a week and it was much publicised as the child was left alone so the mother could go smoke crack. He just last week got assaulted by a crack addict, that got him half a day in the local ED for medical clearance. He assures you he is in control and handling things well by himself. His personality, however, only gets worse, and though he assures you he is not using the narcotics, you strongly suspect he is still abusing drugs. Still, he continues to function as a medic without glaring mistakes, as he once had a reputation for being one of the most competent. Yet, the rumors are flying around the agency that he is getting short with his partners, and almost abusive with patients, and rude with families. Of course, these are the folks that "abuse the system", but this is still not professional behavior representative of the agency or the EMS community as a whole. You feel the need to confront him again, admitting you suspect he is still using drugs and under stress. 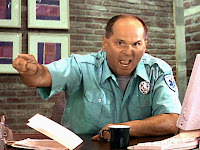 He tells you that you are full of crap and for you to mind your own business. He then cuts off all further contact with you. Since he is a friend and fellow co-worker, you wish to intervene but you are not sure how to go about it. You are mature enough to know that stepping on fellow co-workers doesn't get you anywhere and you sure don't want to get your friend in trouble. You still feel that you have an obligation to raise your concerns. Maybe a nudge to your QI committee to look into his calls or at least his behavior on calls. Should you report your suspicions to your supervisors, telling everything you know? He would then most certainly know who told on him, jeopardizing your friendship. He could deny everything and threaten legal maneuvering in response to what he says is a hollow charge, since there is no hard proof against him. What if you are wrong, and he is dragged off for a drug test, and tests clean? If you intervene, and he does test positive, he will be black-listed as a drug abuser, and possibly lose his career, though your agency is civil service and will offer D&A rehab. What if the organization is not that large to offer that? Is the stigma he will get a concern? Will he be allowed to work as an ALS provider afterward? There is no proof he harmed any patients but wonder if he has a good probability of doing so in the future. His behavior is becoming more rude to all around him and this may be the only thing that could bring him down. He may end up getting reprimanded or even fired for his unprofessional behavior. But don't we all have bad periods in our lives? However, if protecting him from himself is not a concern, don't you have a social obligation to protect the public? So how do you sort through your duties as a friend and colleague, but considering your duties to society as well? I often write about lessons in professionalism. The content of my ramblings is more often than not, a result of me giving myself advice. Like many other EMTs and medics in our field, I have become numbed by many unwarranted 911 responses. 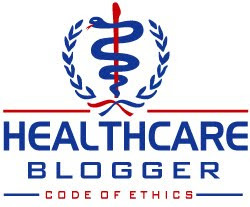 There have been a few posts, authored by yours truly, which advocate a positive attitude towards these calls. They keep us working right? These are the people that pay our salaries right? Unfortunately, it is nearly impossible to avoid the stress that these calls provide. Even more-so, it is very difficult to respond emergently, after realizing the mediocracy of the more common chief complaints. The problem with a response that appears effortless is that it is misconstrued as lacking effort. This is most-likely not the case. We all care about what we do, and we want to work for the best possible outcome of our patients. Please refer to the title of this post. It is true. What our customers see is what they believe. If they feel like the paramedic on scene is giving a lackluster performance while their loved one is suffering, they may end up believing that the EMS crew didn't do all they could. I think most EMS professionals that have been doing this for a while have experienced those family members that truly understood that everything was done to save their loved one, even though they were not revived. Have you ever had a family member feel like you didn't do a good enough job though? Unfortunately, the media has done a horrible job of painting the picture of what EMS really is. Every time someone was shocked on Baywatch they soon coughed up water and quickly awoke. ER was filled with more doctors than I have ever collectively seen. The show was filled with overly excited emergency personnel. Trauma and Saved showed us some action-packed footage of alcoholics, drug addicts, and med-school drop outs with some the star-of-lifepatches slapped on their arms. Many people have a hard time understanding the difference from Hollywood and reality. They may expect to have one of these adrenaline pumped characters show up diagnose the problem, and give their loved one a precordial thump, ultimately saving them. 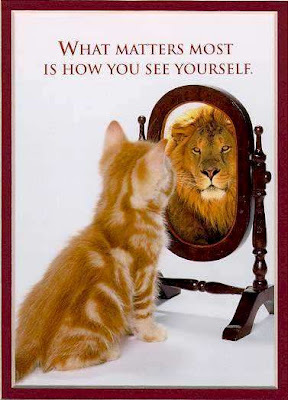 Think about how you perceive EMS. Have you ever had to call 911 and utilize service from your own agency? Did you cross your fingers and hope that one of the cretin medics you know didn't show up at your house? Maybe you even looked up the schedule of the responding unit to see who was on shift. What were the things that made you feel the way you do about your fellow coworkers? This is my lesson for this scatter-brained post. Move quickly but efficiently. Random acts of sporadic movement often lead to accidents. Think about what you are going to do while on the way to the call. Most of you probably already do that, but think about how you can make it look good. No, I am not advocating a dog and pony show. Wait, yes I am. 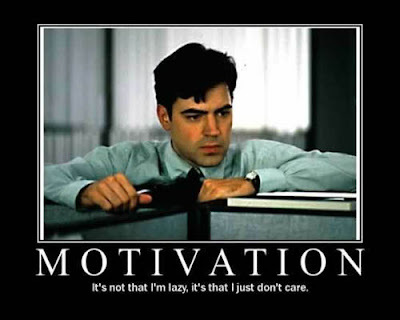 That is exactly what I am doing. Put on a show. Now, within reason of coarse. Do everything you would normally do, but make it look as if you truly do care. Even if you didn't run up to the house and thump the patient's chest, if you exude empathy, your efforts will most-likely be appreciated. Besides a paycheck, I think appreciation is exactly what we are looking for.